Welcome to XLr8 Andhra Pradesh, a technology business accelerator powered by the Federation of Indian Chambers of Commerce and Industry (FICCI) & IC2 Institute of The University of Texas at Austin! In support of the initiative of The State of Andhra Pradesh to create a world-class technology innovation ecosystem, the IC2 Institute of The University of Texas at Austin, in concert with the Federation of Indian Chambers of Commerce and Industry (FICCI), has established XLr8 Andhra Pradesh, a world-class global technology accelerator, located in the world-renowned temple town of Tirupati. The primary objective of the accelerator is to foster a culture of innovation in the Sunrise State of Andhra Pradesh. Our primary goal is to increase knowledge, wealth and employment, in the State and beyond. Our initiative is multi-faceted, and includes training, advanced capacity-building for innovators and entrepreneurs, incubation and acceleration of tech companies into the global marketplace, mobilization of venture capital and access to the extensive global commercial development networks of both FICCI and the IC2 Institute of the University of Texas at Austin, as well as direct exposure to the entrepreneurial culture of Austin, Texas, through co-location in Austin for select qualifying companies who are looking to take their technology to the global marketplace. Qualifying companies have the chance to rub shoulders with other seasoned entrepreneurs, including companies from outside India that will be using the accelerator as the springboard for launching their products and services into the Indian market. If you are interested in joining us, you can help us gauge your eligibility by answering these simple Yes/No questions. Demand for participation in this initiative has been high, and there are a limited number of slots available in each cohort, so please connect with us right away, and let's begin a dialogue to see if XLr8 Andhra Pradesh is a good fit for you and your company! Provide a world-class incubation model in the State of Andhra Pradesh. Each "cohort" runs for four months. During that time, we assess up to 100 companies, choose the most promising 33 companies for advanced commercialization training and assistance, select the top 8 companies for a presentation to a bi-national panel of senior executives and venture capitalists, and select four for intensive business development, working with our experts to pursue and execute business engagements with interested parties, to goal of which is to achieve measurable economic development. In parallel, university students and representative from select academic institutions will engage in workshops, bootcamps and other events designed to increase the consciousness level regarding entrepreneurship and innovation. This aspect of the program is tightly aligned with the stated objective of the Government of Andhra Pradesh to encourage "one entrepreneur per family" -- our program will help empower that process. Glenn Robinson brings over thirty years of experience in senior management to the IC2 Institute’s Global Commercialization Group and the XLr8 Andhra Pradesh Technology Business Accelerator. 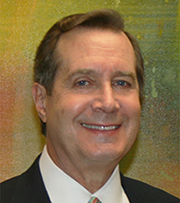 His experience cover the spectrum of directing sales, marketing and customer response teams, providing General Management oversight driving record growth in both domestic and international operations at various multinational corporations, including Dell Computer, Sun Microsystems and Apple Computer. He has also held executive management positions in the non-profit sector, as well as being a seasoned entrepreneur, having launched and successfully managed multiple start-up ventures. He is a consultant to the National Science Foundation in Washington, DC, and has held Board of Director positions with various technology business incubators, start-ups and non-profits. Mr. Robinson is currently Managing Director for XLr8 Andhra Pradesh in Tirupati, Andhra Pradesh, India, and oversees all operations of the accelerator. Prior to relocating to India, he directed GCG regional new business acquisition and enterprise acceleration programs. Previously, he was program director for GCG’s TechBA program, a partnership with the Mexico Secretary of Economy and FUMEC, the US-Mexico Science Foundation, the goal of which is to assist Mexican Small and Medium Enterprises with entry into the US market. Prior to joining TechBA, he managed a successful technology commercialization program in Chile, focused on technology incubator assessment and training, technology recruitment and international business development. Mr. Robinson holds a dual Bachelor of Arts with Distinction in English and Spanish Philology from San Jose State University, is a certified Foreign Language and ESL instructor, and completed his Masters of Arts coursework in Spanish at the Universidad Complutense in Madrid, Spain. Aruna AP brings over twenty years of experience in senior management in university academics and business incubation to the XLr8 Andhra Pradesh Technology Business Accelerator. Her experience covers entrepreneurship education and management responsibilities in tech business incubation. She has held positions on university academic council and board of studies for entrepreneurship education. She has won three Rural Innovation Awards from the National Bank for Agriculture and Rural Development, India, and has served as Technology Angel for the Department of Scientific and Industrial Research, GoI, as well as executive committee member of Indian STEPs and Business Incubators Association. She was a trainer for Sri Lankan faculty and mentor for women entrepreneurs under the Asia Foundation funded project with National Institute of Technology, Trichy and mentor in CII-CSR Gateway Project. She serves as evaluator and mentor for ‘Power of Ideas’ competition jointly hosted by DST-CIIE-IIM A, and is a certified trainer with World Bank under its infoDev programme. 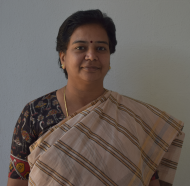 Ms. Aruna is currently Programme Manager, XLr8 Andhra Pradesh in Tirupati, Andhra Pradesh, India, assisting with management of startup recruitment, assessment, training and validation. She coordinates academic partnerships, student internships, boot camps and faculty mentoring. Ms.Aruna holds both Bachelor and Master of Science degrees in Agriculture. She completed mentorship training at UC-Berkeley, an executive programme in Technology Commercialisation for Business Incubator Management and Advanced Incubation Managers Training at IC2 Institute, University of Texas, Austin. Chandana is a “Technopreneur”, Computer science graduate, and a recipient of a gold medal from the JNT University. She brings over 12 years of experience in the IT field to the XLr8AP team, having worked with international clients, such as FedEx USA, Verizon Telecommunications USA, and Mphasis, as well as with various startups. 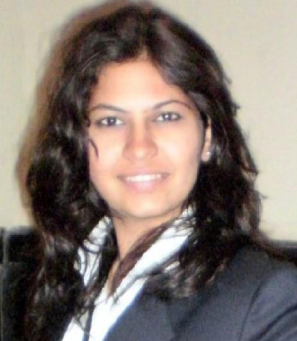 She started her own venture, in security systems, and contributed towards substantial growth. She played an influential role in mentoring one of the IT startups in her earlier assignment, which has been awarded as Best IT Company by ITsAP for that region. Chandana was also the recipient of the Best Performer (“ON THE SPOT AWARD”) consecutively for two years by a multinational company “Verizon USA” for her outstanding contribution to the project. Her technical expertise includes Incubation, project management, and Web and Internet Technologies. She specializes in translating business needs into technology requirements that support the company's business objectives and mentoring startups. She has efficiently led many mission-critical projects and successfully delivered them, as well as conducting various training programs on software tools for both executives and students. In her current role as Program Specialist at XLr8AP, she looks after the program recruitment and evaluation, as well as supporting selected startups in technology validation, mentoring and building impactful investor pitches. She is also in command of the marketing efforts of the accelerator, coordinating promotion through social and web media. She also contributes to building online tools to improve operational efficiency and reduce risk across the program. She has also completed Advanced Incubation Managers Training at IC2 Institute, University of Texas, Austin. Pranshu Soni brings over 5 years of experience in Partnerships and Customer Relations across multiple industries . She started with Ingersoll Rand (a division of Trane) with the IR - IBM team for Remote management services automation system. She then ventured into the start-up arena, with PrintBindaas, as Business Head-Education Vertical, handling a student community with 400+ students across India, and was a part of workshops with Champak for k12 segment. She was then associated with an early-stage startup company, UpGrad, promoted by Mr. Ronnie Screwvala, which is in the online education sector, in the Institutional partnerships team. She worked with few of the renowned private universities in India. Before joining XLR8AP, Ms Soni was with Ecopower systems as VP - Business Development for India, managing business development and created a strong pipeline. Ms Soni obtained a postgraduate Degree in Business Administration from K J Somaiya, Mumbai, after completing her undergraduate in Electrical Engineering from BIT Durg. Though she was born and brought up in Bhilai, Chhattisgarh, she has been living in Mumbai since 2010. Apart from her curricular activities, she is an avid movie watcher and traveler. She was associated with Prithvi Theatre Juhu as a Theatre artist. One of the highlights of this experience was to travel to 36 cities during a single 50-day tour. Nikhil brings over 8 years of National (State Govt. & private sector) & International experience in diverse areas of incubation & innovation management, start-up management, entrepreneurship development and life sciences research. In his current position at XLr8 Andhra Pradesh as Cohort Recruitement Manager, Nikhil is involved in strategic, operational & project management roles to identify & recruit potential startups for the cohort, cohort formation, assistance in scaling-up, building strategic partnerships & enhancing visibility of XLr8 Andhra Pradesh & for the development of the startups. Prior to XLr8 Andhra Pradesh, Nikhil was engaged with swissnex India/Consulate General of Switzerland in Bangalore where he was assisting Swiss startups in market validation and entry through facilitation of meetings with KOL’s & thought leaders. He has also handled flagship programs like Academia Industry Training Program (with SINE, IIT Bombay, NSTEDB, DST, Govt. of India) by curating the program, selecting and training 30 applied Swiss and Indian researchers to bring their applied research out of the lab. Previously, he was engaged with KIIT Technology Business Incubator, Bhubaneswar, where he was leading bioentrepreneurship related activities including sensitization, startup/incubatee pipeline creation, portfolio management, partnership building, business development, grant management and general administration of the life-science incubator. 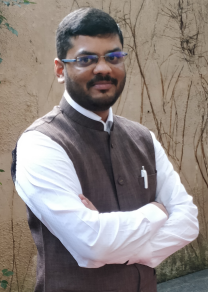 Nikhil holds a Master’s Degree (Master of Research; MRes) in Bioinformatics from University of Newcastle Upon Tyne, UK and a Bachelor’s (Bachelor of Technology; B.Tech) Degree in Biotechnology from The ICFAI University, Dehradun.